The March 29 deadline for Brexit has come and gone. Now, facing an April 12 red line, Britain’s withdrawal from the European Union and the impact on both sides of the Irish border seems as shapeless as the “mists and squalls of Ireland” at the start of the Great War. Several Brexit selections begin this month’s roundup, followed by other news and features. 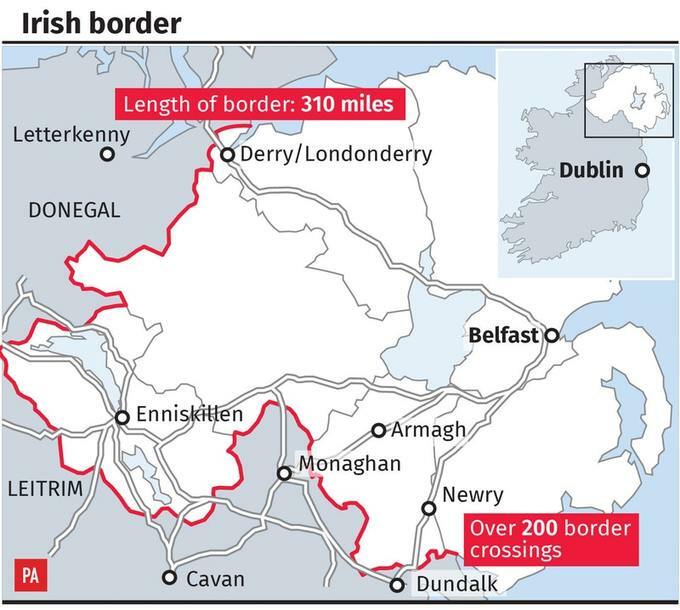 Anti-Brexit campaigners protested at six different points of the border between Northern Ireland and Ireland on [March 30], fearing a return of customs checks could risk peace, jobs and their way of life, Reuters reported. “It’s a further measure of the Brexiteers’ naïveté that they don’t realize that by forcing Northern Ireland to choose between the United Kingdom and Europe, they may have inadvertently hastened the eventual reunification of Ireland.” Patrick Radden Keefe in The New York Times. “Everything you need to know about Ireland’s economy” (and aren’t afraid to ask) from the World Economic Forum. Conor McGregor, the Ultimate Fighting Championship’s biggest star and one of the world’s highest-paid athletes, is under investigation in Ireland after a woman accused him of sexual assault, several media outlets reported. He was arrested in January but has not been charged. McGregor also announced his U.F.C. retirement, though a spokeswoman said it was unrelated to the investigation. John Walker Lindh, the “American Taliban” militant convicted in 2002 of supporting the terrorist organization, is due to be freed in May … and he’s moving to Ireland. Fox News and other outlets have recently recycled the 2017 Foreign Policy story that Lindh obtained Irish citizenship in 2013 through family’s ancestry. Ireland’s Great Hunger Museum on April 11 will celebrate the return of over 50 pieces of art that traveled throughout Ireland in the Coming Home: Art and the Great Hunger exhibition. The touring collection drew more than 100,000 people since last year. 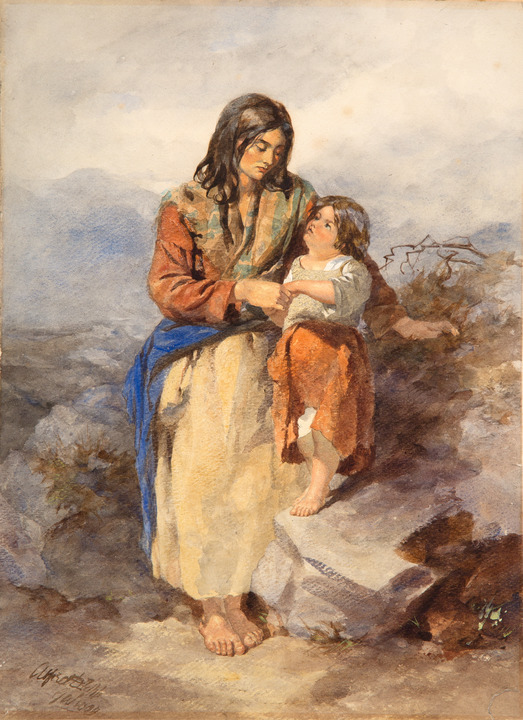 “An Irish Peasant and her Child,” Alfred Downing Fripp, Watercolor on paper, 1846, from Ireland’s Great Hunger Museum. This entry was posted in Arts & Culture, Business & Environment, Journalism, Northern Ireland, Politics, Sport and tagged Brexit, Ireland's Great Hunger Museum on March 30, 2019 by admin.